Learning to DO: Who is Jason Flogel? There is absolutely no reason for you to have ever heard of Jason Flogel. Why am I telling you about him? 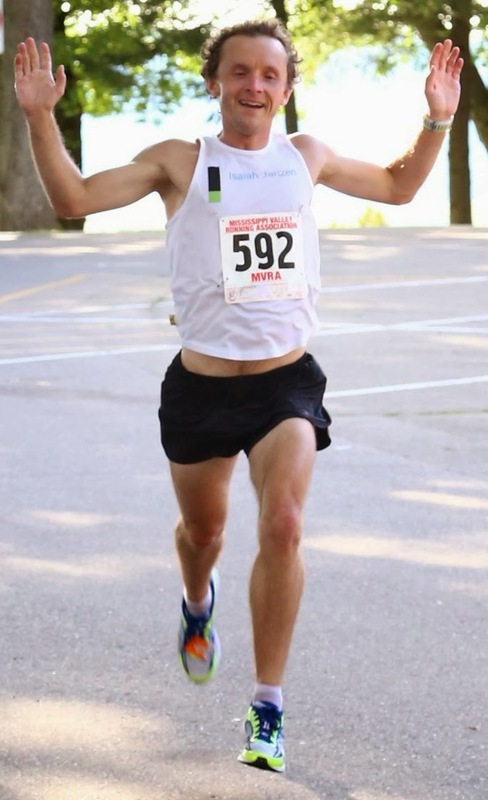 He ran a 2:18 marathon in June and qualified for the Olympic Marathon Trials. He has a child and a wife and a regular 40-hour-per-week job. We have mutual friends because he went to Loras College here in Dubuque so I hear that he runs 100 mile weeks very consistently, but has dealt with injuries. He was apparently struggling with getting "faster" in the last year or so and I talked to his college coach who told him to run 4 x 200 starting hard and running the last one about as fast a possible. Thus even marathoners do speed work. He is an example of accomplishing one thing that so many of us would like to do, qualify for that one big race. Plus he did it with a career, a child, and a wife. In the odd chance that he reads this: Congratulations Jason on running a 2:18 (and doing it while having a life)!